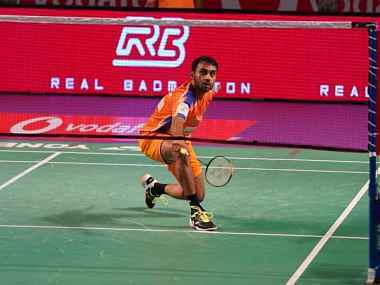 Hyderabad: Sourabh Verma and Kristy Gilmour played key roles as Ahmedabad Smash Masters continued their unbeaten run with a thrilling 4-3 win over Bengaluru Raptors in the fourth Premier Badminton League (PBL) on Friday. 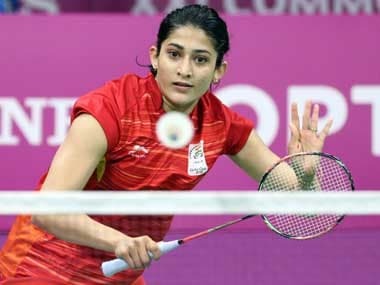 Ahmedabad's Trump pair of Satwiksairaj and Sikki Reddy started the day on a winning note, notching up a 13-15, 15-11, 15-14 win over Bengaluru's Marcus Ellis and Lauren Smith to put their team 2-0 up. The Indians' impressive fightback in the first game fell short but Sikki's sublime net-game helped them turn around their fortunes and build a lead of 8-4, which they extended to 15-11 to level the match. Satwik and Sikki then showed nerves of steel to save a couple of match points in an enthralling decider to get the vital 2 points for the Season 3 semi-finalists. Russian Open champion Sourabh Verma's athleticism and speed were instrumental in his pocketing the first game 15-11 over the Raptors' Sai Praneeth. Sourabh continued to show a lot of urgency and purpose in his shots to prevent Sai from executing his deceptive strokes. Midway through the second game, Sai injected aggression into his shots to grab it 15-11 but Verma won the riveting third game on a decider point to push the Smash Masters up 3-0. Former World No 1 Kidambi Srikanth then had to work hard against the Smash Masters' Daren Liew whom he trails 0-3 in their head-to-head record on the international circuit. The Bengaluru skipper exhibited his usual attacking shots to take the one-sided first game 15-9. The change of ends did not help the Indian with the drift troubling the current World No. 8 for most of the second game and he conceded it 15-6. Srikanth, however, rebounded in style racing ahead to 8-0, he dashed all hopes of a Liew comeback by wrapping it up 15-11. Bengaluru always had the advantage in men's doubles with two-time former world champions Hendra Setiawan and Mohammad Ahsan being in their line-up. 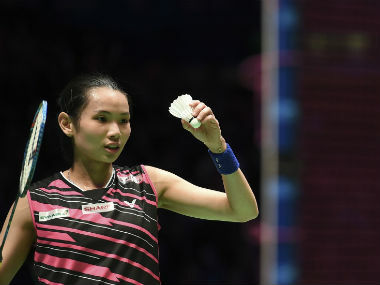 The revered Indonesian pair, Bengaluru's Trump for the night, repaid the faith that the team had in them with a strong 15-13, 15-9 win over Ahmedabad's scratch pair of Nandagopal Kidambi and Lee Chun Hei Reginald that levelled the tie score at 3-3. CWG bronze medallist Kirsty Gilmour completed the roaring comeback for the Smash Masters with a 15-8, 15-13 win over Bengaluru's Vu Thi Trang to seal the contest 4-3. Gilmour had to sweat it out in the second game after sailing smoothly in her opening game. The Scot won six points in a row in the second half of the second game to get Ahmedabad's third win this season.